Despite claims by the SABC that the word ‘retrenchment’ is not in the broadcaster’s vocabulary, it is essentially considering retrenchments, according to trade unions. The cash-strapped public broadcaster on Thursday issued a statement indicating that it is undertaking cost cutting measures which will affect employees. 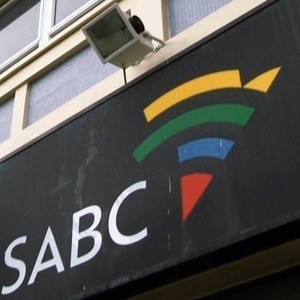 An internal memo was circulated among staff indicating that the SABC had met with unions to notify them of their intentions to undertake retrenchment processes in terms of section 189 of the Labour Relations Act. The SABC incurred a net loss of R622m in the most recent financial year, following a 977m loss in the 2016/2017 financial year. Speaking to Fin24 by phone on Friday, Hannes du Buisson, spokesperson of Broadcast, Electronic Media and Allied Workers Union (Bemawu) confirmed that the SABC had met with union members to inform them of a restructuring process. Bemawu represents 1 500 workers at the SABC. But Du Buisson said that the union had not yet received a Section 189 letter needed for a retrenchment process to be implemented. “We know they said they do not use the word ‘retrenchment’ as part of their vocabulary. We believe that is incorrect and they are sort of trying to run away from the real issue. Section 189 and retrenchment is exactly the same thing. “We should not mislead employees by using words like S189 but do not explain what exactly is meant by that,” he said. He added that the restructuring process is not necessary and it has come about as a result of mismanagement. Instead Du Buisson says the broadcaster should cut costs in other areas. For example, the board should serve without pay he said. “It’s an honorary service to the country [and] we believe they should not be paid,” he said. Secretary General of the Communications Workers Union (CWU), Aubrey Tshabalala, also believes the SABC must work on its business model to save jobs. The CWU represents 1 400 workers at the SABC. For one, SABC’s heavy reliance on commercial advertising for funding inevitably leads to job losses, she said. The funding model of the SABC needs to be reconsidered. She also said that there should be a holistic policy review.